Centring a film on a schoolboy from Swansea might not be the most hilarious idea in the world. What can Submarine offer to make it stand out? 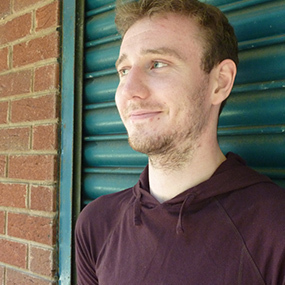 Oliver Tate is a regular schoolboy. He’s dabbled in bullying, doesn’t have much luck with the girls and lives far away in his own imagination. Once he wins the affections of the girl he loves, he must turn his focus on keeping his parents together while keeping her interested. Richard Ayoade’s first foray into feature length filmmaking comes after various TV show acting and directing jobs and sees him, unlike so many of his actor peers, stay away from an acting role. This seems to suit Ayoade well as he brings a strong visual style to the film with perfectly symmetrical face on shots, beautiful postcard type framed landscapes and slow motion to capture young and enthusiastic misbehaviour. The latter is best shown when two of the characters ride a bike with fireworks attached to the back that spark off in stunning slow motion. Ayoade also adapted the film himself from a Joe Dunthorne novel and breaks the film up into sections including specific character segments and even a very formal Prologue and Epilogue that work brilliantly to reflect Oliver Tate’s organised approach to his life. Interestingly Ayoade chooses to skip most of the major events in the film such as Tate’s first sexual experience, a schoolyard fight and a confession to an entire class, to deal largely with the aftermath. The camera lingers on faces before the bypassed events and due to the before and after scenes being so different in their situations, a lot of laughs are created. Surprisingly the film balances an oddball comedy style with a serious dramatic tone that takes over parts of the film. Tate himself is a hilarious character due to his continually serious and formal manner; so when he says something out of place such as, ‘To us and a wonderful evening of love making,’ he is laughed at. However when his structured and obsessive approach and to life gets him into a downward spiral, especially when his love life hits the rocks, he is seen moping around his house in a dressing gown and the film takes a more downbeat mood that suits his extreme nature without tarnishing his character or the film. 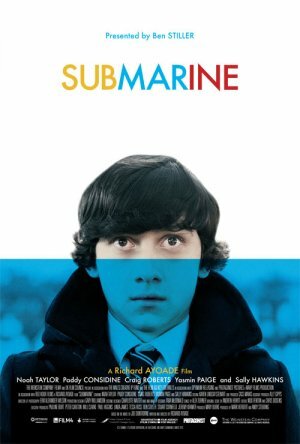 With a perfect balance of teenage mischief, ridiculously underplayed scenarios and downbeat drama, Submarine is simply one of the best comedies of recent years.